Capoeira is an Afro-Brazilian martial art that combines elements of dance, acrobatics, and music. It was developed in Brazil at the beginning of the 16th century. It is known for its quick and complex maneuvers, predominantly using power, speed, and leverage across a wide variety of kicks, spins, and other techniques. The ginga (literally: rocking back and forth; to swing) is the fundamental movement in capoeira, important both for attack and defense purposes. It has two main objectives. One is to keep the capoeirista in a state of constant motion, preventing him or her from being a still and easy target. 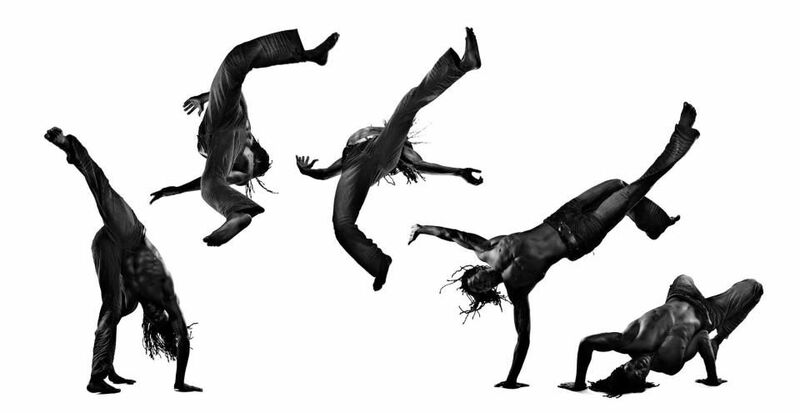 Capoeira is an Afro-Brazilian martial art that combines elements of dance, acrobatics, and music. 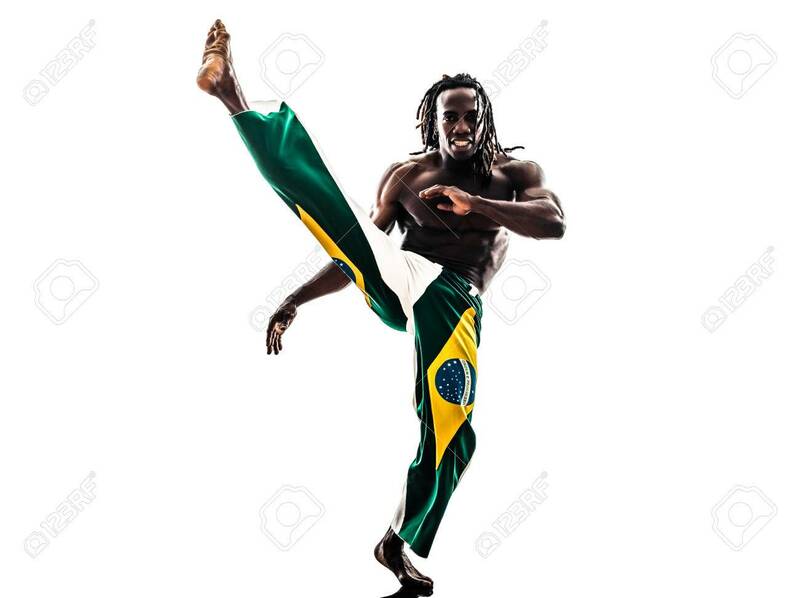 The most widely accepted origin of the word capoeira comes from the Tupi words ka’a (“jungle”) e pûer (“it was”), referring to the areas of low vegetation in the Brazilian interior where fugitive slaves would hide. A practitioner of the art is called a capoeirista. 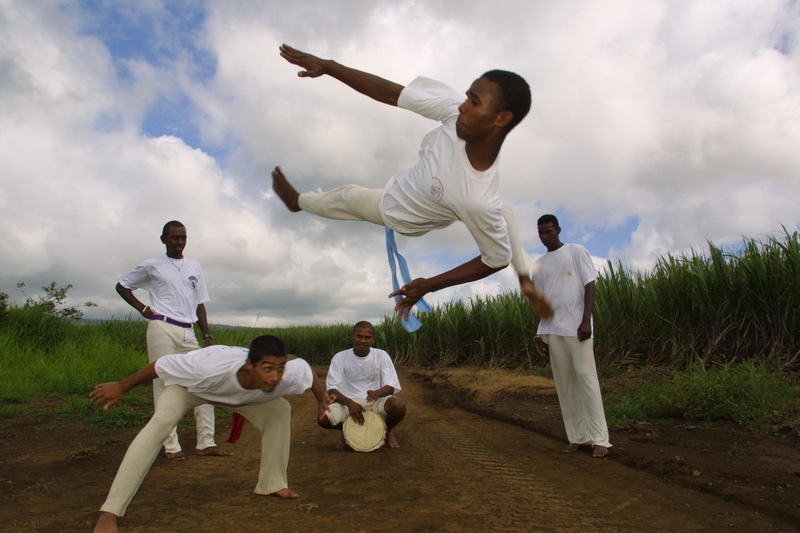 On 26 November 2014, capoeira was granted a special protected status as “intangible cultural heritage” by UNESCO. Originally, the ancestor tradition originated from Angola and was called N’golo/Engolo; a type of ritual dance that used several elements of kicking, headbutting, slap boxing, walking on one’s hands, deception, evasion etc. Capoeira’s history begins with the beginning of African slavery in Brazil. Since the 16th century, Portuguese colonists began exporting slaves to their colonies, coming mainly from Angola. Brazil, with its vast territory, received most of the slaves, almost 40% of all slaves sent through the Atlantic Ocean. The early history of capoeira is recorded by historians such as Dr desch-Obi. Originally, the ancestor tradition originated from Angola and was called N’golo/Engolo; a type of ritual dance that used several elements of kicking, headbutting, slap boxing, walking on one’s hands, deception, evasion etc. The early history of capoeira is recorded by historians such as Dr desch-Obi. The purpose was also religious as it both provided a link to the afterlife (which was the opposite of the living world) and enabled a person to channel their ancestors into their dance. For example, during the dance, a person might become possessed by an ancestor in the past who was talented at Maculelê . This could be applied to a martial setting in both combat and warfare which was called N’singa/ensinga; the difference to Maculelê being that it included weapon use and grappling. during the dance, a person might become possessed by an ancestor in the past who was talented at Maculelê, a mock stick fighting dance, is danced within a roda (circle) of people. 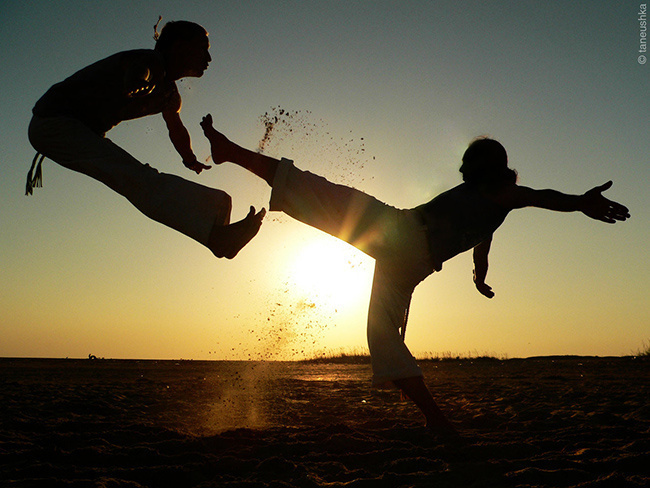 Capoeira nowadays is not only a martial art, but an active exporter of Brazilian culture all over the world. Tagged with:African slavery in Brazil, Capoeira, Capoeira: The Dance of War, Dr desch-Obi., Maculelê, Moringue/ Moring, The Dance of War, The ginga, UNESCO. Next PostHow Did Africa Get its Name?